This album leads to harmonic and rhythmic adventures, which go as far as Guadeloupian influences in “Rumania”. Nevertheless the “swing vibe” prevails. 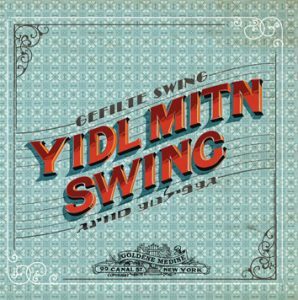 It joins together with yiddish, klezmer and swing, to create soft, flowing and warm tones. Voice: Muriel H / Trumpet: Laurent Vassort / Clarinet, alto-sax and arrangements: Alexandre Litwak / Accordion: Sylvain Jully / Tuba: Yann Quéméré / Drums: David Eleouet / Recorded in 2012 at “Le Koursk” Studio by André / Graphics: Michel Abraham.